Sedona AZ – The Sedona Heritage Museum will host a wine, nibbles and sweet treats reception for anyone interested in knowing more about local history and the museum. The museum is seeking to fill many volunteer positions and will discuss its varied opportunities. Event RSVPs are appreciated, but unnecessary. 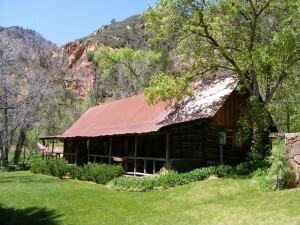 After a special docent led tour of the museum and facilities on March 28 from 3:00 p.m. – 5:00 p.m., docent Clancy Sage will give a presentation about the life of John James (J.J.) Thompson, Oak Creek Canyon’s first permanent white settler and his family. Museum Volunteer Coordinator, Julie Holst will discuss the varied museum volunteer opportunities that are ideal for anyone looking to expand their social footprint in the community. If you are unable to attend on March 28, please contact 928-282-7038 and request a one-on-one meeting. The Museum has openings for new volunteers in many roles, including Museum docent, exhibits and education, tour committee, special event committees, archives and collections, digitization projects, other special projects and the gift shop, to name just a few. Current museum volunteers place a high value on time spent at the museum. Besides contributing to the preservation of local history, volunteers have forged many new and lasting friendships in a fun workplace with flexible schedules. 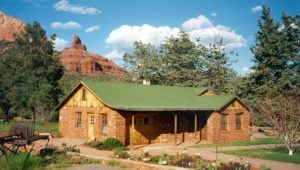 The Sedona Heritage Museum is operated by the Sedona Historical Society, a non-profit organization whose mission is to “research, preserve and teach the history of the greater Sedona area.” It is located at 735 Jordan Road in Jordan Historical Park, Uptown Sedona.